Delicate sterling silver Oval earrings set with Roman glass. 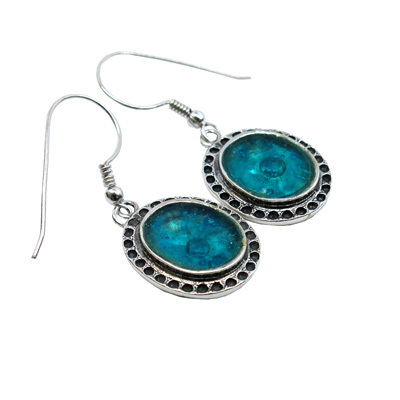 Amazing classic design in sterling silver oval earrings with Roman glass . Perfect Gift .